Data results published last month in the journal Science show encouraging results for the HIV vaccine. Researchers published results from studies that investigated an immunogen that has a legitimate shot at being the first immunization against HIV. The immunogen, known as eOD-GT8 60mer, was produced by a team at the Scripps Research Institute’s International AIDS Vaccine Initiative. Results from the preclinical trial revealed that the vaccine provided protection to the 12 animal primate subjects from being infected with simian immunodeficiency virus (SIV), which is the nonhuman equivalent of HIV. The primates were exposed to the virus a total of six times. Researchers note that there may be a direct link between the vaccine’s ability to fully protect and the numerous antibody functions that fight the virus. Developers cite this as evidence that the vaccine might be effective in human subjects. There are currently 400 volunteers being recruited in the U.S. and Africa for phase 1 of the human trials for the vaccine. 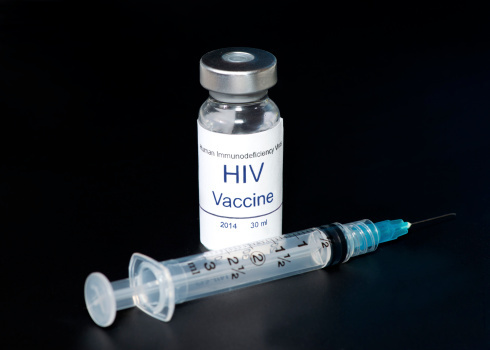 McNamee, D., “Preclinical trial data brings new hope for HIV vaccine,” Medical News Today web site, July 3, 2015; http://www.medicalnewstoday.com/articles/296315.php.